Open Minds is an independent not-for-profit (NFP) organisation that works with people to enhance their mental health and wellbeing. Enabling an independent and positive future for people living with mental illness and disabilities. We work together and empower people to succeed. We act with humility and value curiosity. We are trustworthy and act with integrity. His Excellency the Honourable Paul de Jersey AC announced his patronage to Open Minds on Wattle Day 2014. Born in Brisbane in 1948, His Excellency is a dedicated and long –standing Queenslander. The Governor studied at the University of Queensland and graduated in Arts in 1969, and in Laws (with Honours) in 1971. At the end of 1971 he was called to the Bar and appointed as Her Majesty’s Counsel (QC) in 1981. In 1985, the Governor was appointed as a Judge of the Supreme Court of Queensland, becoming the 17th Chief Justice of Queensland on 17 February 1998, and served in that role for more than 16 years until 8 July 2014. 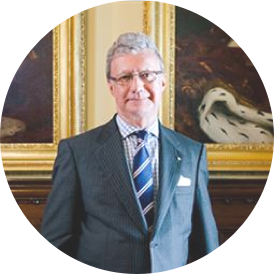 In recognition of his contribution to the Australian community, the Governor was appointed a Companion of the Order of Australia in 2000, and awarded a Centenary Medal in 2003. He holds honorary doctorates from the University of Queensland (2000), the University of Southern Queensland (2008), and has recently accepted an honorary doctorate from Griffith University. His Excellency was appointed the 26th Governor of Queensland on 29 July 2014. Dr Peter Anderson is Acting CEO of Open Minds, and General Manager of Service Development and Quality. Dr Anderson has been in senior management roles with Cancer Counsil Queensland, Heart Foundation and Diabetes Queensland and as CEO led two Asthma Foundations through mergers. He has also had leadership roles in the Public Health Association of Australia as state president and National Board member and is a Fellow of the Association in recognition of more than 20 years of service to the public health profession. His qualifications include a Bachelor of Human Movement Studies (Education) Graduate Diploma of Health Science (Health Education) and a PhD in Population Health. Peter was an academic and researcher at the University of Queensland, Cancer Prevention Research Centre and QUT, School of Public Health for 16 years and retains an adjunct position at QUT. 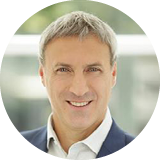 Chris joined Open Minds in 2017 and brings with him over 30 years financial, IT and General Manager experience. He has worked in multiple sectors including manufacturing, health, mining and resources and has served on The Asthma Foundation of Queensland and Hockey Queensland Boards. 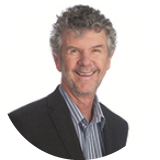 Chris has been both a member of and Chair of Audit, Finance and Risk Committees, is a CPA and holds a Graduate Diploma Applied Corporate Governance from Governance Institute Australia (formerly Chartered Secretaries Australia). Claire joined Open Minds in June 2017 as the Regional Manager Queensland South and moved into the role of General Manager Client Services Queensland in December 2017. 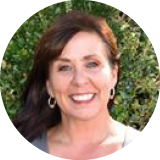 Claire has over 20 years’ experience working in the mental health sector for public, private and NGO health and community organisations in Australia and the United Kingdom. Claire is committed to raising the bar and empowering teams to drive a culture of excellence in healthcare and human service delivery. She has extensive experience in operations management at a regional, state and national level. Michelle joined Open Minds at the end of May 2017. Michelle is an experienced HR Manager. She has 20+ years experience across a diverse portfolio of HR functions including strategic leadership, change management, organisation design and restructuring, recruitment, performance management, rehabilitation, culture change programs, leadership development, diversity and engagement. She has successfully led numerous restructures, improvement projects and introduced new technologies to improve efficiency and deliver contemporary HR practice. Simon Moore joined Open Minds in 2016. 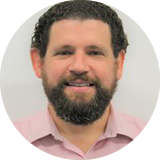 Simon is a not-for-profit specialist with over 15 years’ experience in the not for profit and primary health care sectors, over 13 years in membership organisations, and 6 years as a part of executive leadership teams. His governance experience spans 6 years in the not-for-profit health sector with over 5 years as Company Secretary of large charities. Simon has supported change and organisational transition at Board and operational levels. Simon’s experience includes: establishing new entities and governance structures; membership engagement and facilitating constitutional change; transfer of staff, Intellectual Property, and assets; novation and assignment of federal government funding contracts, subcontracts, leases, and supplier agreements; and developing plans and timelines to wind down redundant entities. Simon has significant stakeholder management experience working with engaged and disengaged members, and interested non-members to understand, accept and support change at constitutional, contractual and organisational levels. He holds the Graduate Diploma Applied Corporate Governance from Governance Institute Australia (formerly Chartered Secretaries Australia), and is a member of the Australian Institute of Company Directors. Ms Louise Cox is an experienced Board member serving as Chair, Deputy Chair, Chair of Finance and Risk, and Chair of Governance in commercial, public sector, and not for profit boards across a broad sector group including education, professional services in legal, architecture and accounting, management consultancy and mental health. 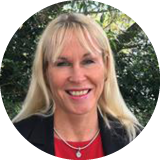 Louise is a member of the Executive Committee of the Caxton Legal Centre, Chair of Griffith University's Department of Accounting, Finance and Economics Advisory Board, and a member of QUT's School of Accountancy - School Advisory Committee. 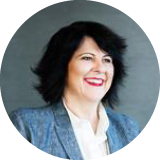 Louise has previously served as a Director of TAFE Queensland, Open Minds and Thomson Adsett Architects and as a member and Chair of the Metropolitan South Institute of TAFE Council. Simon is an experienced non-executive director and executive and in addition to his directorship with Open Minds he is deputy chair of a large national charity in the social justice sector. In an executive capacity, he has spent the last nine years as a consultant and interim executive for a range of large companies in sectors such as healthcare and medical research, financial services, information technology, engineering, resources and not for profits. 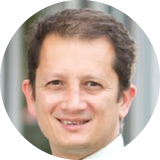 Simon brings skills in the design of operating models, organisational design, program and organisational change management, mergers and acquisitions and the alignment of leadership frameworks to culture. He is a member of the Governance, Remuneration and Nominations Committee. Simon was appointed to the Board in June 2017. Professor Paul Mazerolle is Pro Vice Chancellor (Arts, Education and Law), Campus Provost (Mt Gravatt) and Director of the Violence Research and Prevention Program at Griffith University. In his PVC role Paul has overall responsibility for the performance of the Arts, Education and Law group which includes over 13,000 students and 400 academic staff. Paul has a background in Criminology and leads research in various areas including offending across the life course, youth violence, intimate partner violence, and homicide as well as criminal justice policy. He holds a PhD in Criminology, a Masters in Criminal Justice and a Bachelor in Sociology. Paul has been a Director of Open Minds since June 2009 and is a member of the Board’s Governance, Remuneration and Nomination Committee. Steve is an experienced chairman, non-executive director, board advisor and executive, having sat on the board of over 10 companies in the ASX, private, government, family company and not-for-profit sectors in Australia, South East Asia and the United Kingdom. In an executive capacity, he spent 17 years with BHP Billiton managing a broad business portfolio within its Stainless Steel Materials Group. 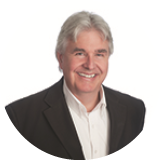 Steve brings key skills in corporate strategy & governance, business development, finance & accounting and systems and frameworks, including in the areas of financial governance, compliance and risk management. Steve is a Fellow of the Australian Institute of Company Directors (FAICD) and a Fellow of the Institute of Public Accountants (FIPA). He is currently the Chair of the Board’s Audit and Risk Committee. He also chaired the Business Development Committee from January 2014 through to its cessation on 29 May 2015. Steve was appointed to the Board in November 2013. Claire is an experienced non-executive director and chairperson having served on not for profit Boards in Australia and UK for over 25 years. Having qualified as a Chartered Accountant with Ernst & Young, Claire's career in commercial and not for profit companies includes 10 years as CFO and Director of Corporate Services in medium to large companies. Claire is now Managing Director of her own business providing leadership development services across Australia. Claire brings skills in executive leadership, finance, governance, risk, strategy, social and affordable housing, property development and community services. Claire is Chair of the ICAEW Queensland State Branch and she volunteers with Wesley Medical Research. Partners in Recovery (PiR) helps you connect the dots between all of the different supports and services in your life, and ensures you stay organised while working towards your personal recovery goals. PiR aims to better support you by simplifying the coordination between your clinical services, natural supports and community based recovery models. headspace supports young people who are going through a tough time. If you are aged 12-25 and you need someone to talk to, headspace will provide you with access to health advice, education and employment. Open Minds is the lead agency for headspace in both Redcliffe and Taringa. Open Minds works in partnership with suncare community services to provide CHIME, support service for those living with mental illness. CHIME (Connectedness, Hope, Identity, Meaning, Empowerment) is a short term intensive community based program, focused on delivering one-on-one support to advocate and empower you.